Matt Kuchar and his caddie, El Tucan, walk down the fairway at the Mayakoba. Matt Kuchar needed an emergency caddie down at the Mayakoba Golf Classic. He committed to the event late, but his long-time looper, John Wood, had a prior engagement. 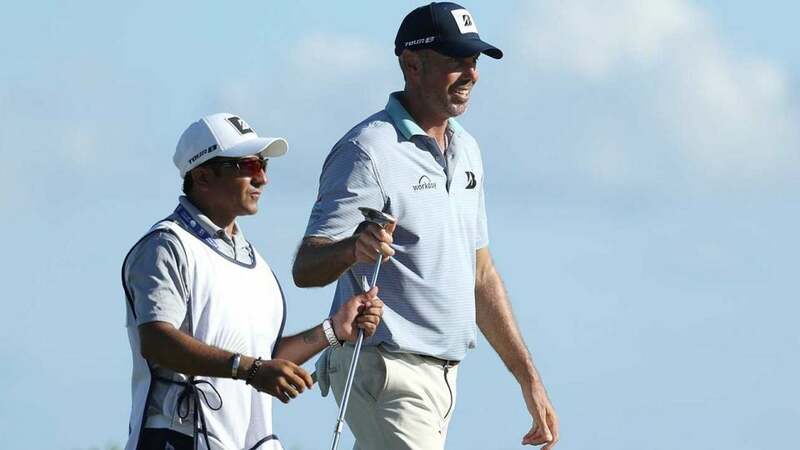 So, after some last-minute searching fell through, Kuchar was hooked up with a local caddie named David, although most around the club know him as "El Tucan." GOLF senior writer Michael Bamberger caught up with the most popular caddie of the week to talk about his man's big victory. 1. The caddie’s full name — three pronged, in the Mexican tradition — is David Giral Ortiz. He’s 40, as is Senor Kuchar, his boss last week at the Mayakoba Classic, which they — plural, in the old caddie tradition — won by a shot. Kuchar is four months older and one foot taller. 2. Ortiz, called "El Tucan" by Kuchar and most everybody else, is a full-time caddie at the Mayakoba Resort, averaging about six loops a week and $200 a day. He said, “I come every day. I hope to get out.” 3. El Tucan, a married father of two who gets to work each morning by bus, is a trained agronomist but says he can make far more money as a caddie. 4. Ortiz’s nickname comes from one particular night, during the Carnaval de Veracruz, a nine-day bacanal in his home city, where he paid a DJ to play the song “El Tucanazo” 10 consecutive times. “Also,” he said in a phone interview with GOLF.com, “I have a big nose,” as does a toucan bird, although it is actually a beak. Matt Kuchar and El Tucan pose for a photo after their win. El Tucan said he cried when he held the trophy. 9. The best advice he gave Kuchar, Ortiz said in the interview, was during the back nine on Sunday when he told Kuchar, in his recollection, “'You need to calm down.' He was very nervous.” 10. In a qualifier for the tournament, Ortiz caddied for a Mexican golfer, Armando Favela, who made it into the tournament and finished in a tie for 16th, making him the low Mexican. Favela earned $108,000. 11. Asked if he made more money than Favela last week, Ortiz said, “I hope so!” He had not yet received or discussed his pay with Kuchar. He knows the standard caddie bonus is 10 percent of the winner’s share. 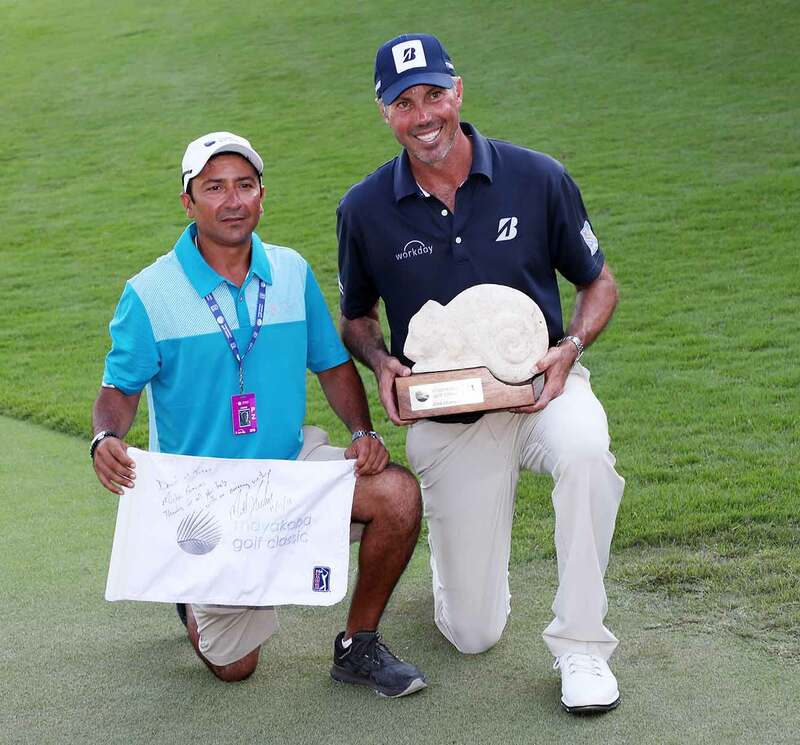 Kuchar earned $1.3 million for his win, his first since 2014. 12. On the day after the tournament, there was an outing on the course for people affiliated with the event. Ortiz worked it.